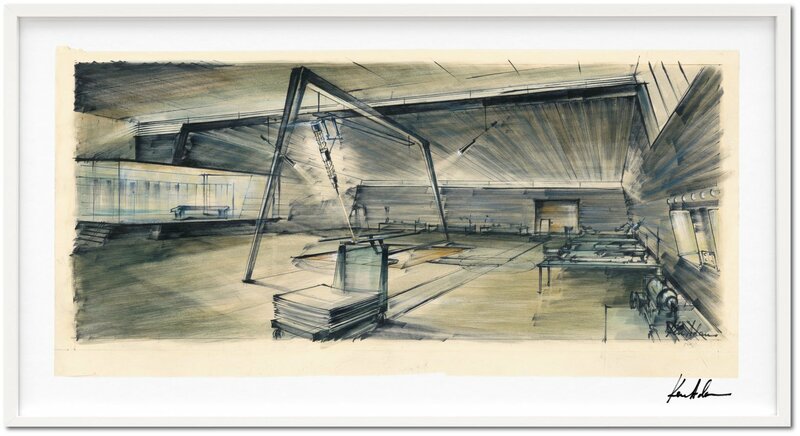 To commemorate 50 years of the James Bond franchise, editor Paul Duncan sifted through the vaults of EON Productions to source photos, storyboards, and production materials traversing every Bond film ever made. Previously unseen material recounts the fascinating history of James Bond. 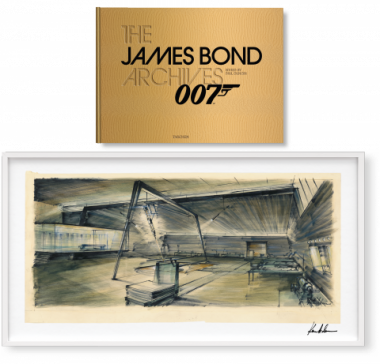 Signed by Daniel Craig, this covetable Art Edition includes an original strip of film from Dr. No and a signed set design print from Sir Ken Adam, the man who conceived the legendary Bond sets of the ’60s and ’70s. “Bond, James Bond.” Since Sean Connery uttered those immortal words in 1962, the most dashing secret agent in the history of cinema has been charming and thrilling audiences worldwide. This impeccably British character created by author Ian Fleming has starred in 23 EON-produced films, played by six different actors over five decades. To celebrate 50 years of this innovative franchise, EON Productions opened their archives of photos, designs, storyboards, and production materials to editor Paul Duncan, who spent two years researching over one million images and 100 filing cabinets of documentation. The result is the most complete account of the making of the series, covering every James Bond film ever made, beginning with Dr. No (1962) and ending with Skyfall (2012), including the spoof Casino Royale (1967) and Never Say Never Again (1983). 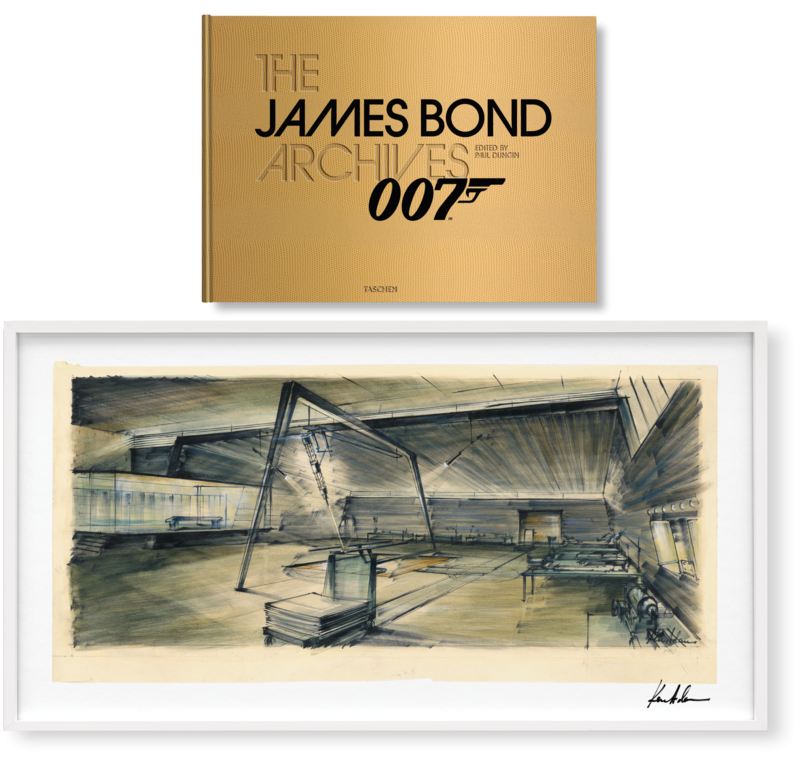 The stunning imagery is accompanied by an oral history recounted by over 150 cast and crew members, relating the true inside story of how the Bond films were made. 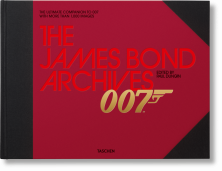 Containing previously unpublished photography and artwork, as well as production memos from filming, this book is a comprehensive tribute to the legend of James Bond. James Bond films © 1962–2012 Danjaq, LLC and United Artists Corporation.